How many of you from the New England area think you have to move out of the state to pursue your artistry? How many of you have considered moving to NY, Miami or LA to get more exposure for your talents? Calling a location home can be one of the hardest decisions of your artistic career. But the real question is, are you ready to be expozed? 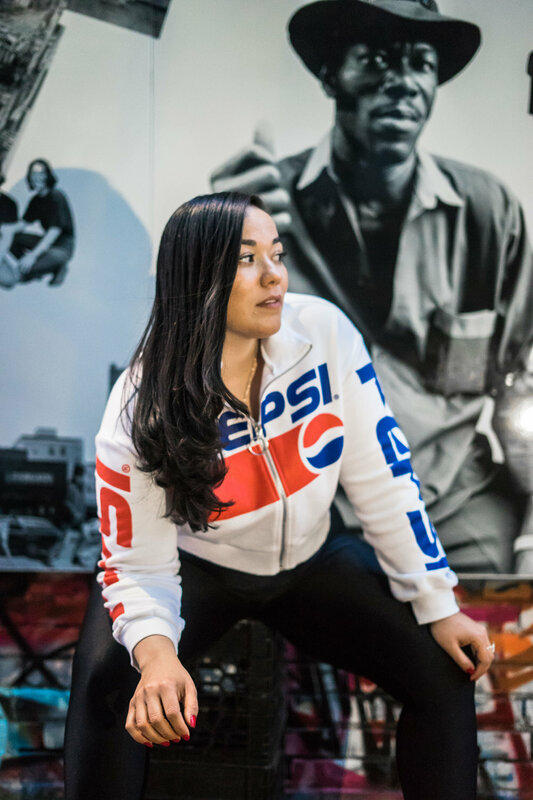 Some time in 2016, 27 year-old Katiria Pineda-Colon's dreams felt disconnected from her life due to the lack of opportunity in Boston for her talents. Katiria came from an impressive industry background; modeling for Dynasty Inc, competing in beauty pageants, hosting a television series on Telemundo, and many many more. However she started questioning what she may have been doing wrong, or why she was not getting the exposure she wanted as an artist? 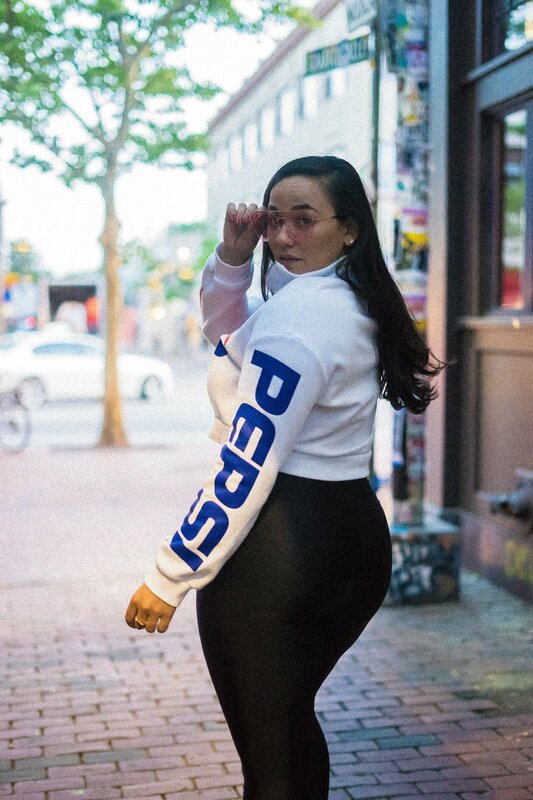 A lover of all types of art, she had an idea that sparked and decided to put together all of her inspirations -- her mom being the main one -- and created a project that would soon become her greatest passion and full-time job called Expozed.TV where she serves as both Creative Director, and Host. Expozed.TV serves as a platform for all types of artists to learn and grow from one another. They are also aired on different platforms such as: the Expozed.TV website, CCTV (Cambridge Access Cable), Comcast Channel 9, YouTube, and all other major social media outlets including three other art collaborators. 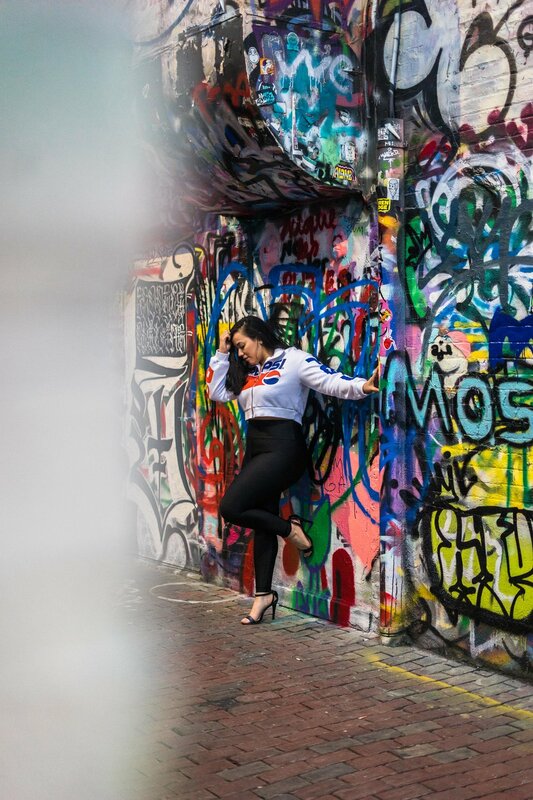 Katiria graduated with a Bachelors Degree in Performing Arts from the University of Massachusetts Boston, and a Masters Degree from Northeastern University in Leadership with a concentration in Project Management. With those degrees in hand, she is well on her way of building a legacy in the entertainment industry. 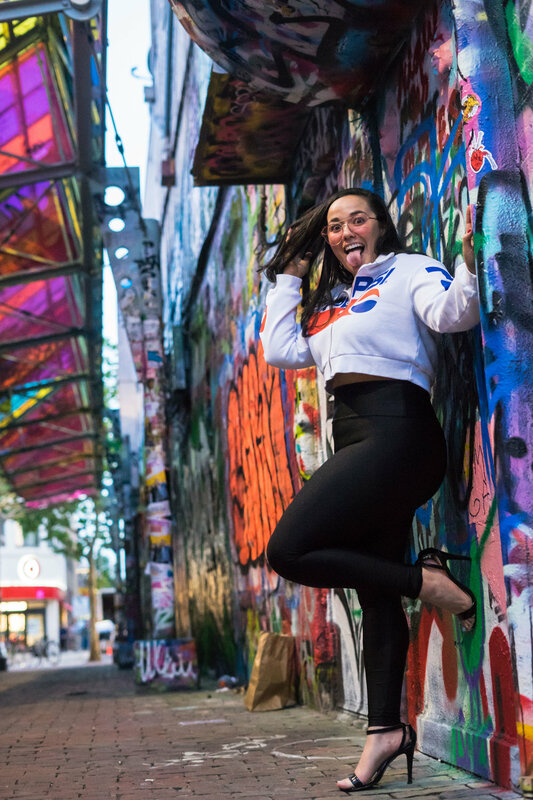 Katiria flipped her way of thinking and created a platform that allows all types of artists to expose both their talents, and highs and lows on their artistic journey. TMB: Why is Expozed.TV so important to you? I started as an actress and dancer at young age and it was hard having that exposure. My mom and I would have to travel to NY, Miami, and Vegas just for castings… So as an artist I thought, “What can I do to help other artists?” I want to help highlight people in the performing arts world. I always thought if the dancing doesn’t work out, than this (talk shows) will work out. TMB: What are the biggest benefits to your target audience and why? In other words, why should we “follow” you? I don’t just have well known celebrities on my platform. We focus on having people that are on the verge of being in the industry. We have a lot of great content, and are always producing and creating. We’ve been targeting great talent; that talent plus my company have made the Expozed.TV brand stronger. TMB: Who/What influenced you to take on this role in your life? Mom is a BIG part of this. My logo is in dedication to her; she’s always been bold and her favorite color is red. My mentor Pup Dawg is amazing. Just him giving me tips and telling me to do this instead of that because it’ll be better for me. He’ll always focus and help as much as much he can. DJ Chubby Chub is amazing! He’s always supporting the underdog. Amadeus, he’s Trey Songz’ Musical Director and drummer. I only met him 3 months ago and he is just a constant in my life. My therapist has been a big influence because she’s been there for my ups and downs and so positive, she means a lot to me. TMB: What do you believe is your purpose? TMB: What has been one lesson you’ve learned the hard way, but value? I’ve learned that politics actually exist. Sometimes people try to sneak in and steal my people from me and I’m very protective, especially of my team cause we’re helping each other grow. TMB: What are some routines or practices you believe help you to stay focused? TMB: What are three concerns you have for Expozed.TV? 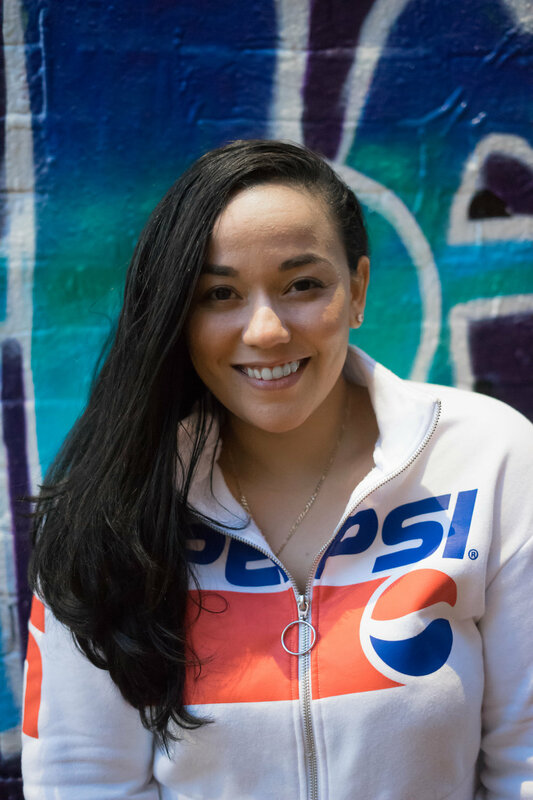 Since the start of eXoposed.TV Katiria platform put her in position to positively shape their career for both the immediate future and long-term. She is not afraid to stand out but find a way to make it better and more relevant. Katiria as seen lots of artists struggling, or coming up short. One day we can honestly see that once an artist finishes up with Katiria they will look back on the opportunity and mark it as a significant contributor to their creative development. 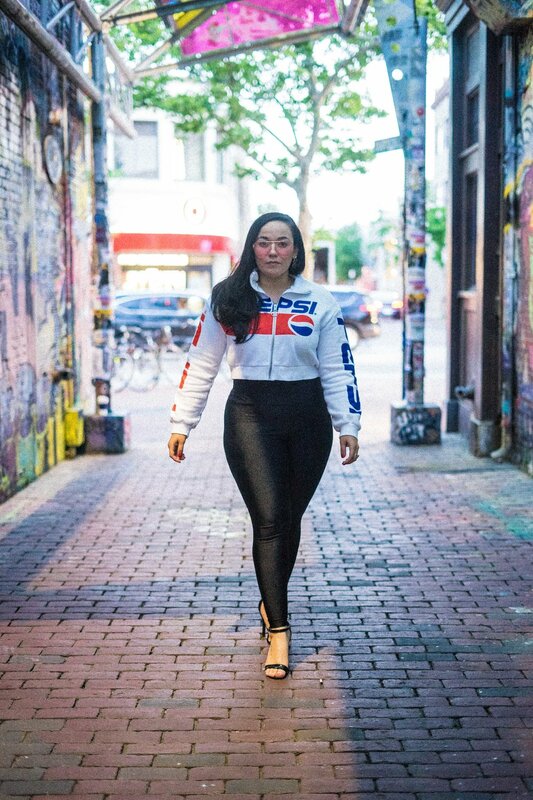 We think it's so dope that she was able to create a platform for those artist whose work may not have a large audience — yet and for other artist who have reach a broad audience and can provide insight.